All of our CRM packages which are part of xmlCombined Select, come with a website included in the price which you can configure from within your administration interface. Choose you own colour scheme, logos and enter the information about your company to give you a professionally designed website that can be live in a matter of minutes. If you already have your own domain name we will instruct you in how to point it at your new website. If you need a new domain name you can purchase through our domain registrars. You already have your own website and do not want to change it? Talk to our development team and they will advise you if it is possible to still use xmlCombined Select as your administration of your existing website. We also have the option for you to have a fully bespoke website designed and built just for you. Our developers will be happy to talk you through the options. Our included websites come in a number of designs which are being added to all of the time. We aim to launch a new website design every month. Gargra is the website design that gives your visitors the best impression of your images. The property view has a clean and ordered design giving your properties a professional look. 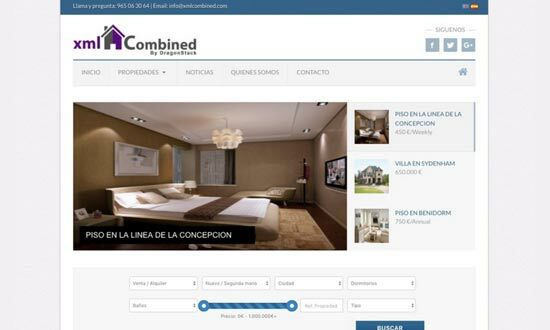 This fully functional website is available as part of your CRM xmlCombined Select. Edessa is the Perfect design for all those agents who focus their work on the images of a property. 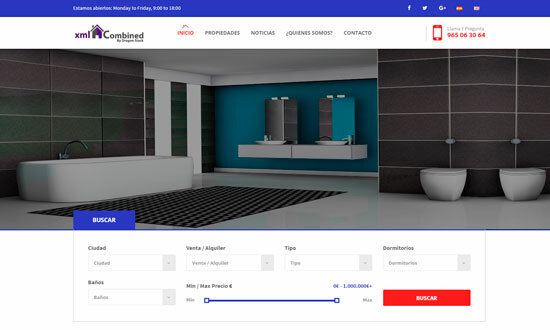 With a design which use the images as the main focal point, Edessa gives you the opportunity to have a fully functionally website, with a profesional look. 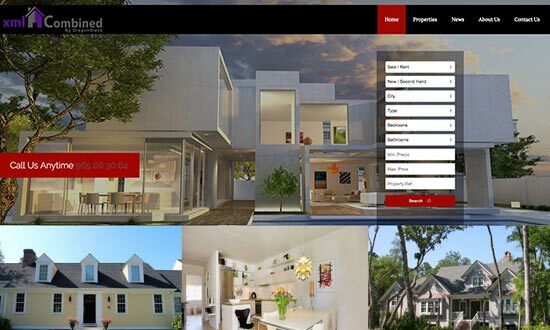 Phaistos allows Real Estate Agents to have a profesional responsive website and structured. The design is perfect for Real Estate Agents who work with Commercial properties. Decelea is a fresh design option. 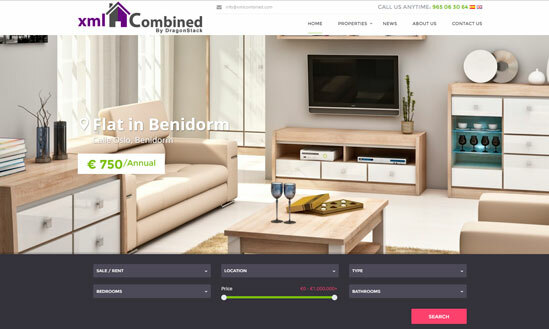 This is a Rental orientated website which allows you to show your main rental properties on the slider of the Home Page. 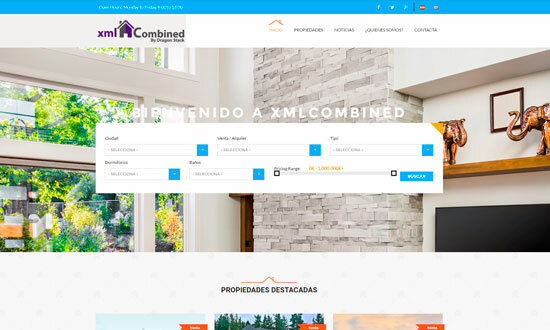 This design includes two different design options for the Home page, expanding the possibilities you have to Features your chosen rental properties. Cebrene combines the use of large front page pictures and an easy to use search option. Featured properties are particularly well represented in this design. The site includes a general search on the right of the search results and the ability to list the price or by property recent. Can include a Blog. 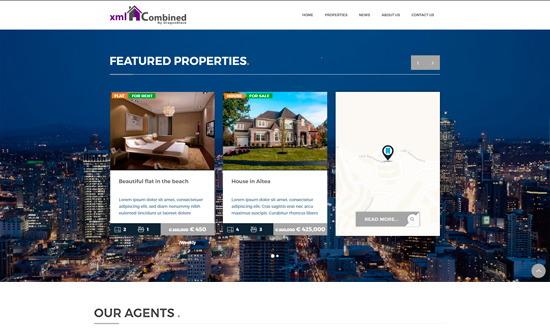 Baris is a warm design with large panoramic pictures on the home page.Its standard functionality includes options to show both rental and sale properties. 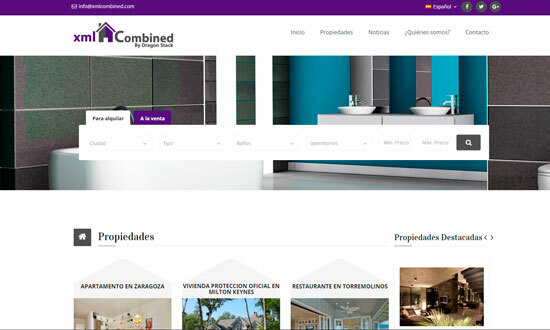 The site includes a general search from the home page, featured properties and an option to include a Blog. 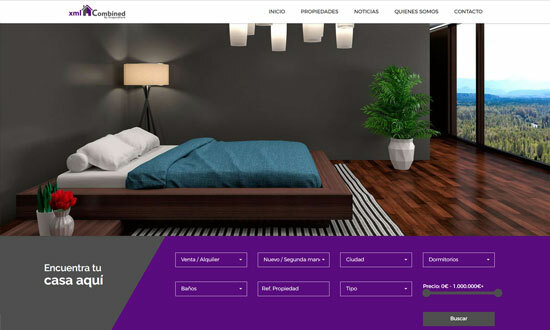 Abdera is very professional general design with options to show both rental and sale properties.